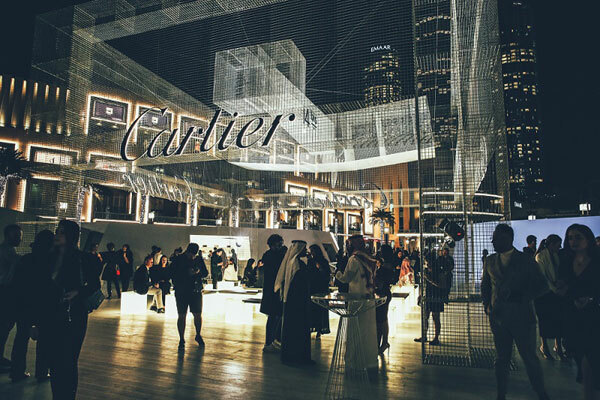 The Dubai Mall's ART+ Series, an aspirational platform dedicated to showcasing exceptional forms of art, museum-worthy exhibits or one-of-a-kind heritage collections from leading brands, is currently showcasing the Santos de Cartier installation from January 20-26. In a tribute to the historic collaboration between pioneering pilot Alberto Santos-Dumont and Louis Cartier in the early 1900s, the Santos de Cartier exhibit invites guests to explore the worlds of aviation and fine watches through a multi-sensory experience as the Maison relaunches this legendary timepiece collection. At its centrepiece lies a Santos aircraft suspended in a glass cube, allowing guests to hear the roaring of the engine and a feel the subtle sensation of flying. The ART+ Series initiative aims to deliver a continuous programme of outstanding exhibits throughout the year, creating renewed and elevated experiences for guests. Through a continuous showcase of culture, heritage or innovation from The Dubai Mall’s leading brands, the ART+ Series further reinforces The Dubai Mall’s status as a hub for the arts.